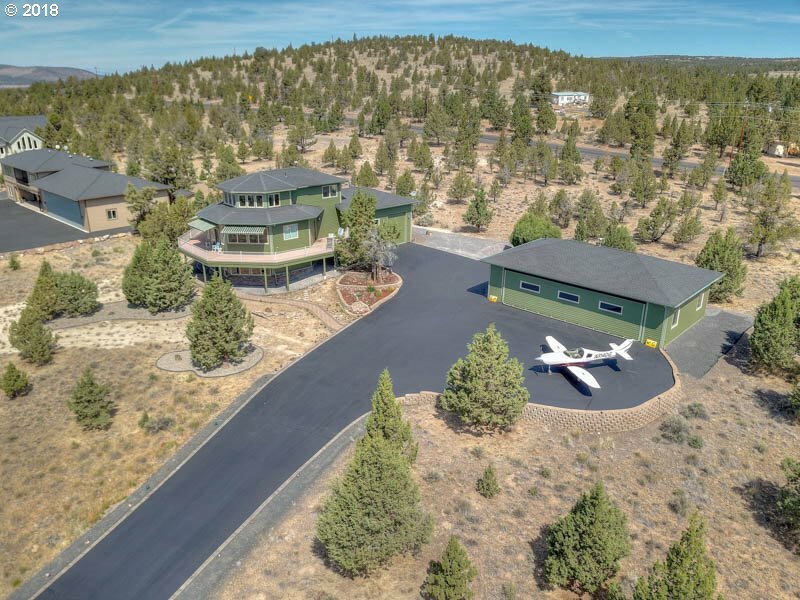 All Prineville homes currently listed for sale in Prineville as of 04/21/2019 are shown below. You can change the search criteria at any time by pressing the 'Change Search' button below. 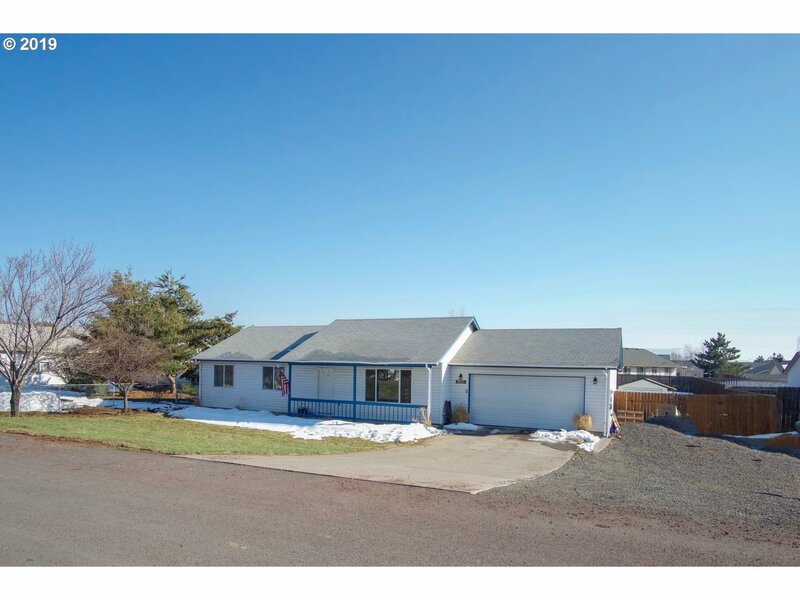 If you have any questions or you would like more information about any Prineville homes for sale or other Prineville real estate, please contact us and one of our knowledgeable Prineville REALTORS® would be pleased to assist you. "Mahogany Butte Ranch is 6867 acres with miles of Mill Creek running through property & bordering the Ochoco National Forest. Beautiful main home features: 4010 sf, 4 bed, 3 bath, stone fireplace, saltwater swimming pool overlooking the Mill Creek Valley. 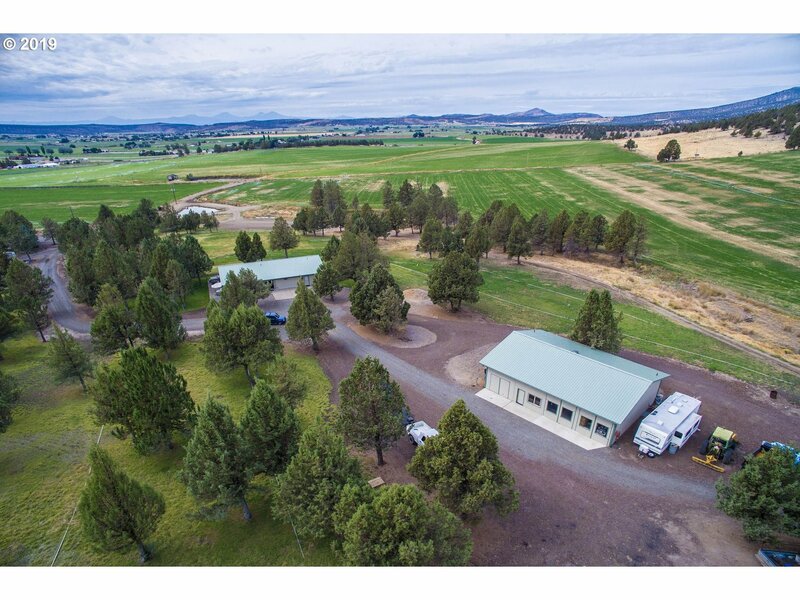 Ranch: 371 acres irrigation, 2 additional homes, barn, shop, hay barns, corrals, seasonal creeks, pine forests, LOP tags abundant wildlife, private setting, 1 hour from Bend." "Beautiful custom home in the pines w/McKay Creek running through it, the Sawtel Ranch sits on over 200 acres w/58 acres of irrigation, 60x40 shop, 48x32 shop, 60x30 barn, 5 stalls, tack room, chicken coop, dog kennel, large storage room & bathroom. 4 large greenhouses & loaf stalls/hay shed. Home features 2 master suites w/fireplaces, a guest bedroom w/fireplace, huge guest quarters w/full bath above a 3 car garage. Too much to list!" 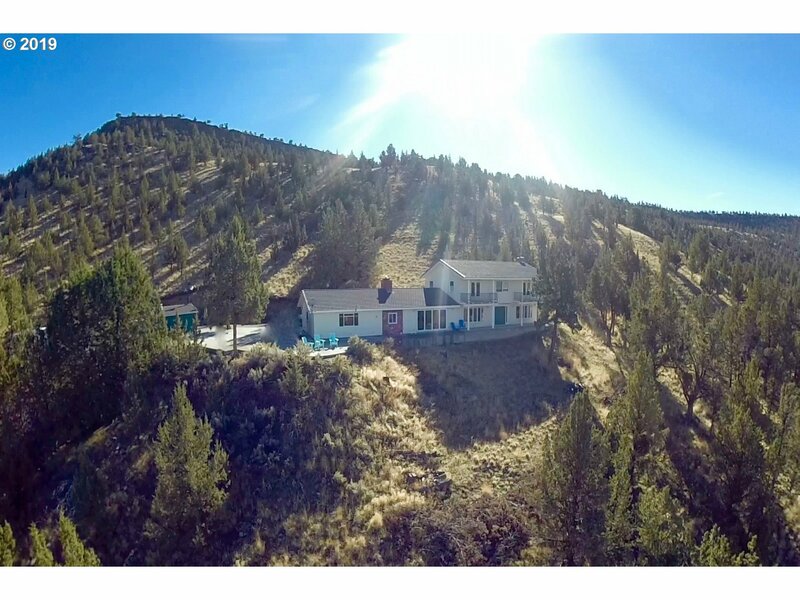 "This historic property, the original stagecoach stop traveling between Prineville & Paulina. This 680-acre ranch includes: homestead, 3beds/2baths 1733Sqft, 1950sqft barn w/ huge hay loft, 768sqft shop wired with 110&220, 1400sqft machine shed, 216 sqft bunkhouse for guests. Wickiup Creek & a stone's throw from the Crooked River. 1000 acres of leased grazing rights w/BLM. 2 Land Owner Pref. Tags. Run cows, horses, or just play!!" 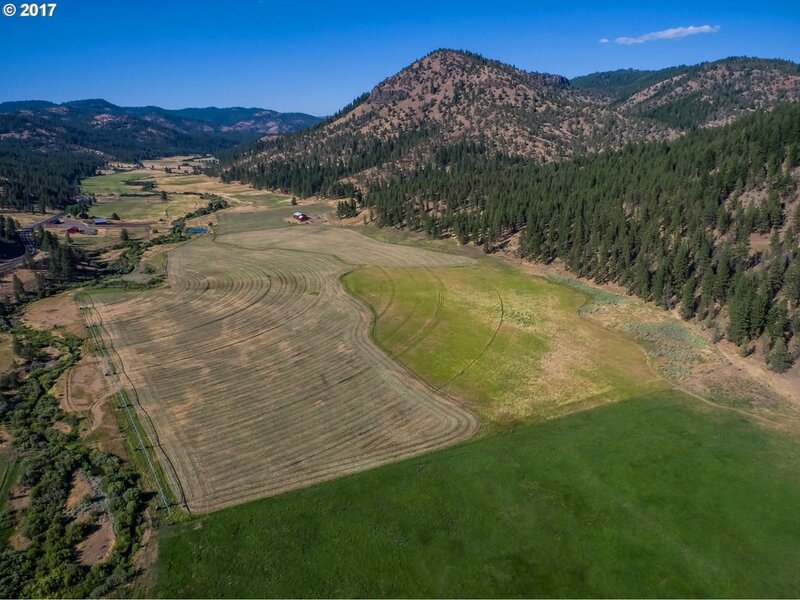 "Expansive Cascade Mountain views and a private, quiet location make this 160+ acre parcel breathtaking. Located in the Grizzly hunt unit with 2 LOP tags (verify with ODFW) and home to deer, elk, coyotes, cougar and quail. 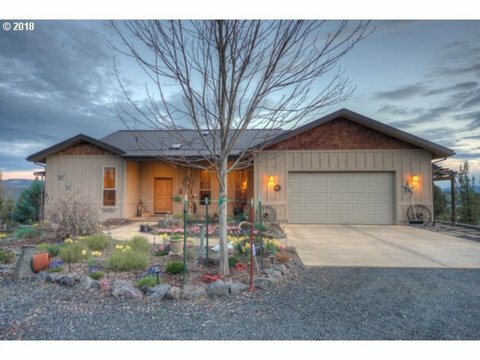 Enjoy single-level ranch living, an attached garage and shop only minutes from downtown Prineville. The large 48 x 36 shop boasts a heated office as well as a bathroom." "Beautiful Custom Home home on 1 acre with 1 acre of irrigation for landscaped yard with a sprinkler system. Contemporary Home is 4889 sf, 4 bedrooms, 4 bathrooms, single level except for bonus game room upstairs. Gourmet kitchen with granite countertops, stainless steel appliances and open floor plan. Master suite with soaking tub, tiled shower, and walk in closets. Game room, workout room and family room upstairs for entertaining." 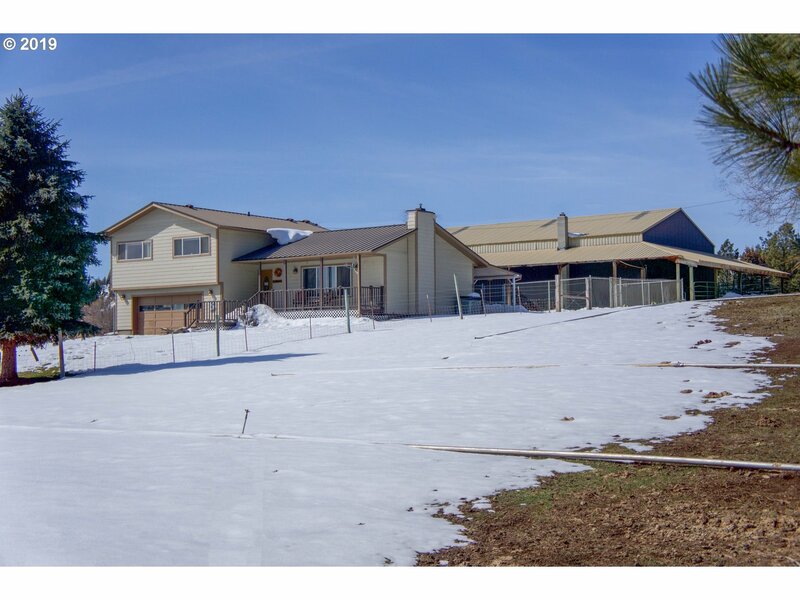 "Beautiful home on 40 acres features wrap around deck with custom iron railings, gourmet kitchen with ample storage, Kholer ProCooker and sink, large island, butler pantry, great room with lots of windows to enjoy views. Master features access to deck, wired for hot tub, alarm system and much more. Outside you will find a 32x60 shop, upstairs has a finished game room, bathroom, plumbed for washer and dryer. RV parking. Too much to list!" "Custom private home with beautiful views from almost every room, 2 private balconies & a moving glass wall that opens all the way up on 10+ acres. Home features 5 bedrooms, master suites on both levels & 3.5 baths w/custom vanities in each. Many of the original chandeliers & light fixtures have been refurbished & used in throughout the home. Plenty of parking for all of your toys, large storage building and dog kennel." 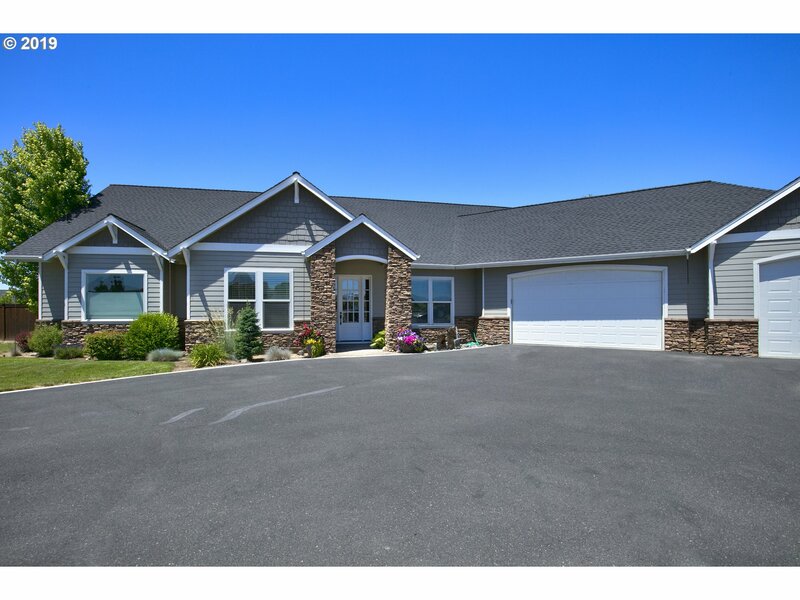 "Do you want a very fine home in gated community w/views of Prineville Reservoir? This is a top quality home. 2 story main living area w/abundant windows to enjoy the view & setting. Gas fireplace w/two story chimney. First floor is a complete living area w/kitchen & laundry for separate living if desired. 5 bedrooms, 4 baths,2 half baths. Travertine walk in shower & jetted tub in master." 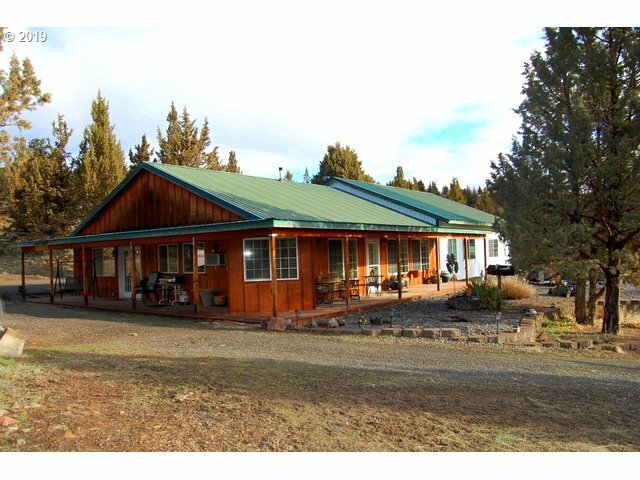 "Pride in ownership shows in every aspect of this beautiful custom home on one acre at Ochoco Reservoir with lake access and a wrap around covered deck. Home has all new interior and exterior paint and wood flooring through out most of the home and updated light fixtures. New concrete pad between attached and detected garage that has a half bath and carport, plenty of room for all of your toys. Property is manicured with all new fencing." "Turn Key Custom Airpark Hm w views for miles. This Like New Hm is eco-friendly & energy efficient w all the extras of high end Fly in/out living. 3-Bed, 3-Bath, 2888-sqft w Cascade Range & surrounding area views from wrap around deck and upper Crows nest Mstr Suite. 22-Milgard Win Flood hm w natural light & Sunsetter Auto Shades + prvcy blinds keeps cool when needed. 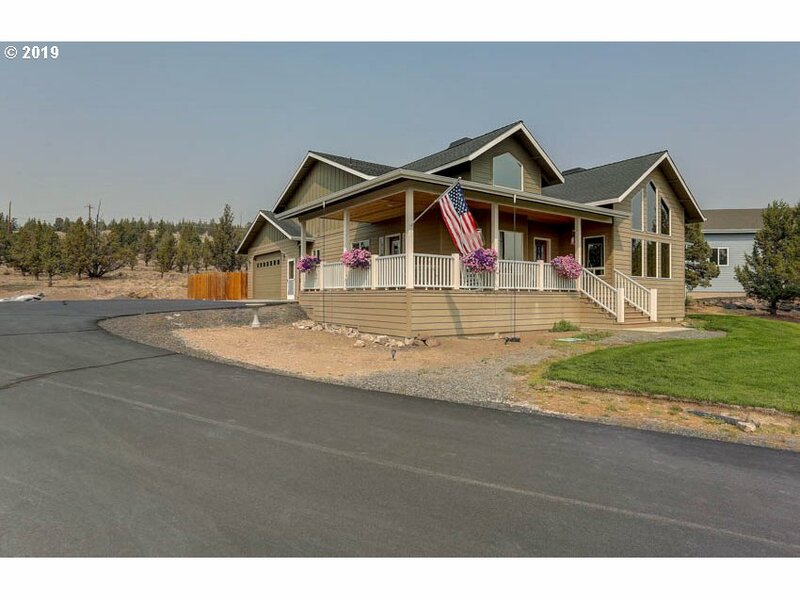 Zoned Heat & AC, Central Vac, Lrg Kitch w Cstm Cabinetry & much more"
"Private 5.59 acre 3 bedroom, 2 bath, 1,790 sq ft. home with an amazing 1,344 sq ft. garage/shop. Shop is heated! Plenty of space for all your toys. Beautiful landscaping, garden with greenhouse, chicken coup, and rv power hookups. Finished shed that you must see to believe. The house is so private with a covered back deck where you can sit and enjoy your water feature. Don't miss out on this place it comes around once in a lifetime." "Single level Custom turnkey home with 3,600sqft Hangar for all your toys. This thoughtfully designed custom hm in a private gated airpark community is 2325sqft with all the extras. Great views, wrap around front deck, oversized garage, fenced yard for pets, great room w vaulted ceilings, hardwood floors, central heat & AC + pellet stove, Lrg Mstr Suite w En suite Mstr bath & walk in closet. Largest hangar in the airpark." 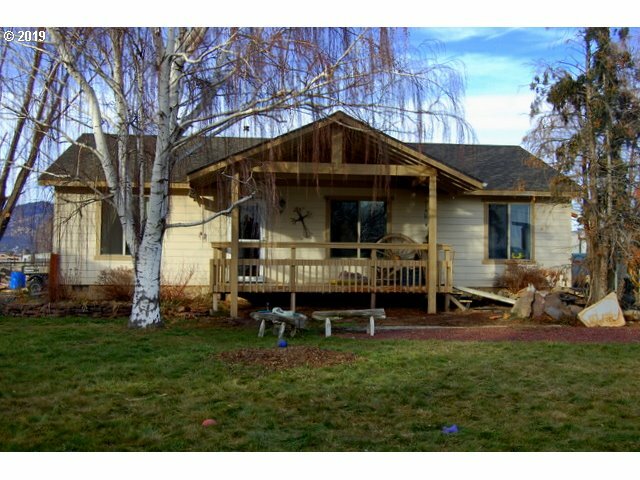 "Custom built home w/Ochoco Creek running along two side, in a golf community. 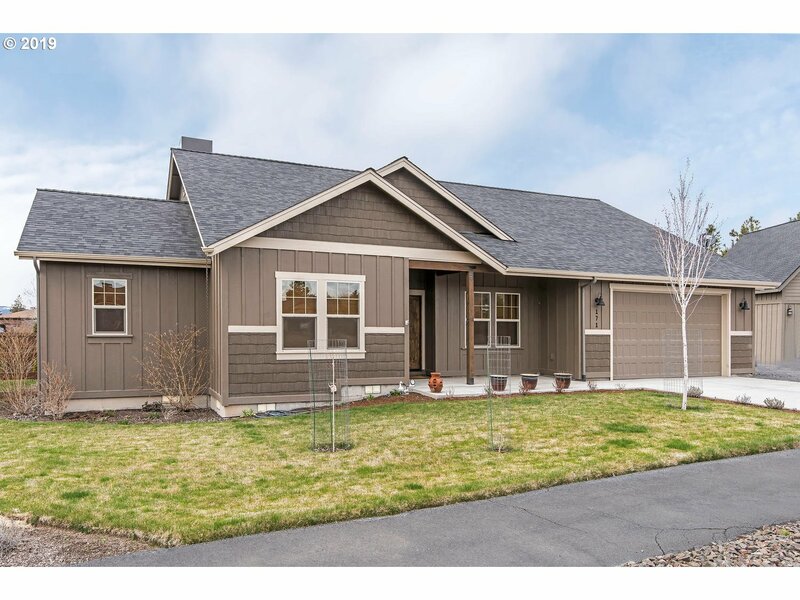 This 4/2.5 home has radiant floor heat throughout, including the garage, gas fireplace, large office, cedar sauna in master bath w/glass block walk-in shower & walk-in closet w/bonus room perfect for a nursery or workout room. Garage is finished, has a new certified wood stove and RV door, currently used for a game room with custom built bar." "New custom home in Mt Ridge Estates on 2.02 acres. 2600sf, 3bd, 2ba, bonus room, formal dining room, island, granite counters, alder cabinets, hardwood floors, large pantry, rocked gas fireplace, wood mantel, vaulted ceilings, open floor plan. Large master, walk in closet, tiled shower, tub and tiled floor. Landscaped with sprinkler system in front. Triple car garage and plenty of room for shop and RVs." "Beautiful custom 3 bedroom single level home with many high end features include solid hardwood flooring, gourmet kitchen w/granite countertops, Jen Air appliances, soft close kitchen drawers, secondary pantry/storage area, ceiling fans in each bedroom, a separate office/den room, tiled floors, rock fireplace with sitting hearth, complete window treatments, over sized double car garage with shop area, 45 ft long RV parking & much more." "Private setting on 2 large parcels off Loper Ave. Lot in back has potential to build. 3bd, 3ba 1917sf home w/finished basement. LR, featuring vaulted ceilings, bay window & cedar ceiling extends to formal dining rm. Fm Rm w/wood beamed ceiling & office area. Country kitchen, lg dining area w/dbl doors to deck. Outdoor living wooden seating, motion lights, cement patio area & serving bench. RV pad. Basement w/sewing room, br & bath." 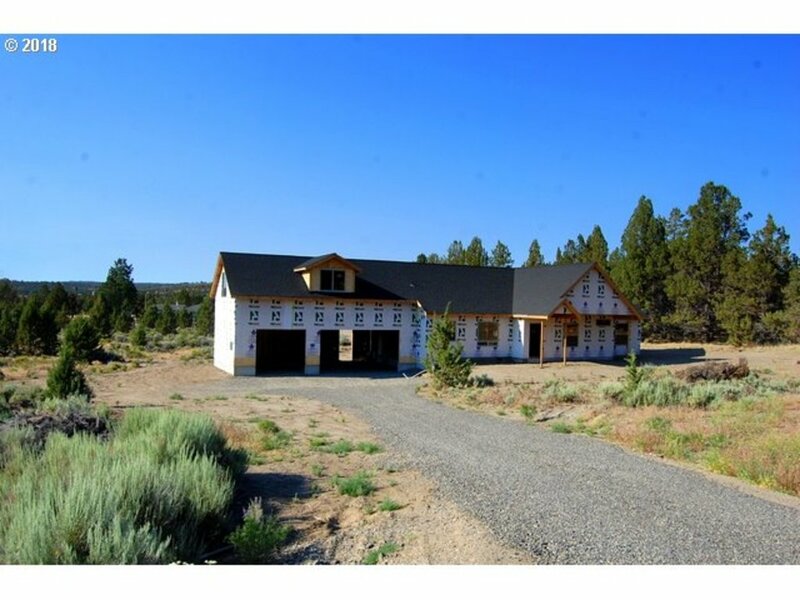 "Large lot in upscale neighborhood at edge of Prineville. Quality 4 bedroom, 2.5 bath home with upgrades. Rock faced fireplace in living room, hardwood floors,& central vac. Den/office off entry. Convenient kitchen with granite counters, stainless appliances, & pantry. Large master suite & large master bath -walk in shower, soaker tub.2nd floor bonus room plus sitting area. Light & bright & lightly used. CCR's allow shop on this lot." "Country living on small irrigated acreage w/shop & close to town. Enjoy nice views from the front deck over looking 1 of 2 pastures & valley views, out back you will find a 40 x 60 shop w/half bath, 15 over hangs on 2 sides for animal shelter, full RV hookups & plenty of room for your toys. The home has anice big living room w/pellet stove, large kitchen, master suite w/sitting area, master bath w/new tile shower." "Breathtaking views of the lake! 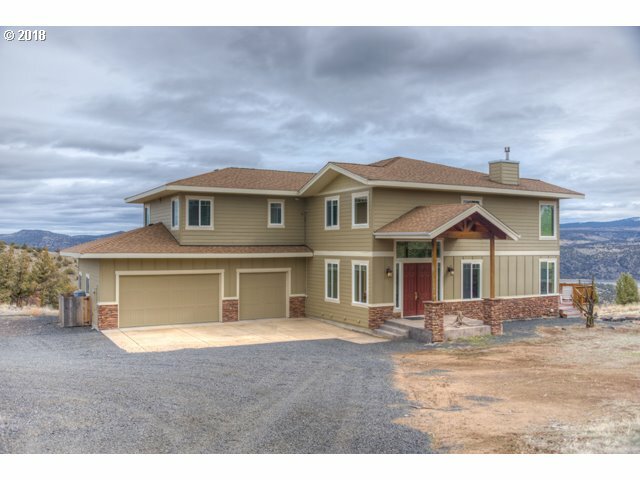 You will feel like you are on vacation every day from this custom home perched on 5 acres overlooking Ochoco Reservoir. Pride of ownership is displayed throughout this well maintained home built in 2003; 1640sf, 2bd, 2ba with office/den that could be 3rd bedroom. Large, 1600sf shop/garage with ample room for multiple vehicles or toys plus attached single car garage. Must see to appreciate!" "Small ranchette north of Prineville. 2 acres irrigated and ready for animals. 3bd, 2ba, 1204sf home. Open living room, kitchen/dining room w/vaulted ceilings, master separate from other bedrooms. Nicely landscaped with mature shade trees, large deck and private backyard, covered front and back decks. Pasture produces average of 8 ton/year. Several outbuildings including barn with stalls, covered hay storage area, single garage/shop." "Extended family living or income property potential! Updated w/ a touch of farmhouse industrial style, move-in ready rare 6 bedroom home w/Main Level Master & 3 full baths. Open floor plan w/spacious kitchen, granite counters, ship lap accents & new laminate flooring throughout living spaces. New carpet, paint, fencing & huge deck & pergola w/shade screens. Whole house fan. RV Parking, Garden & Shed!" "MOTIVATED SELLERS! PRICE REDUCED!Adorable, clean, move-in-ready 1496sf home with 3 spacious bdrms, walk-in-closets in master bdrm & 2nd bdrm.,2.5 baths, custom features throughout, custom built gas fireplace, open dining kitchen area, tile counters, pantry, computer area, laundry area, covered patio w/nice sized fenced yard, landscaping, RV parking, double attached garage. Paved street at the end of cul-de-sac." "Adorable 3 bedroom, 2bath home on large .46 acre lot with lots of updating and close to the park. Open living room, kitchen and dining area with vaulted ceilings and newer carpet and laminate floors throughout. Fully fenced back yard with fruit trees and a storage shed, raised garden beds and a firepit, gated for access with plenty of room for an RV."